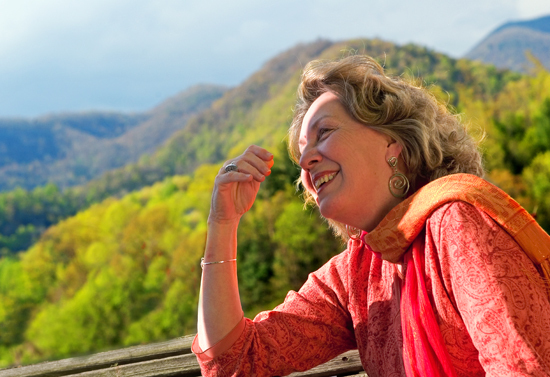 Kathryn Stripling Byer served as North Carolina’s Poet Laureate from 2005 through 2009. She published six collections of poetry, including Descent (LSU Press, 2012), which won the 2013 Southern Independent Booksellers Association Award for Poetry. Throughout her career, Byer received notable awards and honors at the state and national level. In the 1980s, she held fellowships from both the North Carolina Arts Council and the National Endowment for the Arts. In the 1990s, in addition to the Lamont Poetry Prize for Wildwood Flower, she earned the Thomas Wolfe Literary Award and the Roanoke-Chowan Award for Black Shawl, and in 2001, she received the North Carolina Award in Literature. The following year, Catching Light was named the best book of poetry published in 2002 by the Southern Independent Booksellers Alliance (SIBA). For Coming to Rest she received the Hanes Poetry Award presented by the Fellowship of Southern Writers at its biennial meeting in 2007. And from 2005 to 2009, she served with great effectiveness as North Carolina poet laureate, the first woman to hold that position. As poet laureate not only did she give numerous readings and organize a variety of other literary events throughout the state, but she also created a popular blog that enhanced public awareness of poetry and encouraged its study. Kathryn Stripling Byer lived most of her life in the mountains of western North Carolina. Watch Kathryn Stripling Byer at Wordfest 2010. Listen to an interview with Kathryn Stripling Byer on WUNC 91.5 “The State of Things with Frank Stasio,” October 12, 2012. Upon Kay Byer’s passing in 2017, there was an outpouring of love and support from her friends and colleagues. Here are some. North Carolina Department of Cultural Resources Secretary Susi H. Hamilton released this statement.